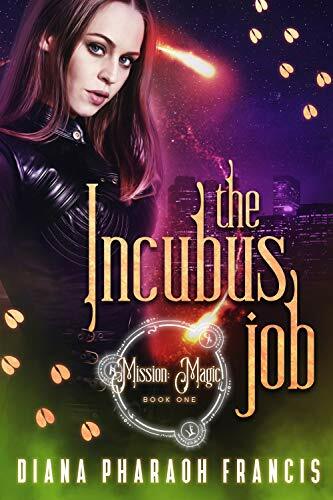 [PDF] The Incubus Job (Mission: Magic Book 1) | Free eBooks Download - EBOOKEE! Description: That's why six years ago, Mallory Jade gave up killing. Now sheâ€™s a fixer. Got a problem with a demon? She can help. Infestation of pixies? Sheâ€™s got you covered. Kidnapped by an undead lich? Sheâ€™s on her way. Anything you need, so long as she doesnâ€™t have to kill. Itâ€™s her one unbreakable rule. Aside from a few near-death experiences, her new life is good, until her job dumps her in the lap of the man she walked out on six years before. Law Stanger, her former partner and lover, wants her back in his life. He's not above playing dirty. But Mallory knows it can never work. She has secrets Law can never understand or forgive. All Mallory wants now is to finish her job track down an incubus and the precious box he stole and get the hell out of town before Law shatters her heart again. But it wasnâ€™t fate that drew her and Law together after all these years, it was cunning calculation. Now they must face an enemy more powerful than they can imagine, one that has no intention of leaving anybody alive. No comments for "[PDF] The Incubus Job (Mission: Magic Book 1)".